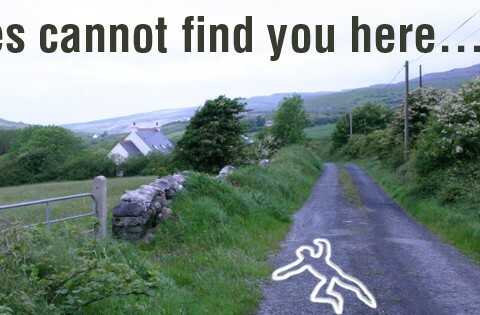 Get Lost Eircodes – Eircodes….Get Lost !!! 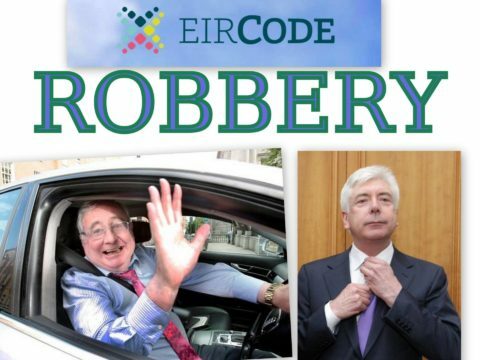 Eircode is shaping up to be another massive waste of taxpayers money like eVoting & PPARS. Irish citizens, businesses, emergency services & visitors deserve better than Eircode, Ireland deserves a 21st century postcode alternative...IT IS NOT TO LATE TO CHANGE THE CODE. 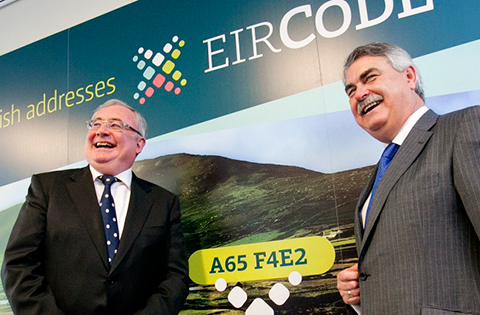 In 2015 Ireland is getting a new postcode system called Eircode. 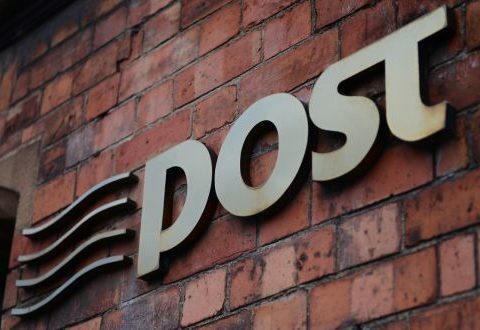 There has been no meaningful consultation on the format of Eircode, there has been no meaningful testing of Eircode, emergency services representatives say Eircode will cost lives, freight transport representatives say Eircode is not fit for purpose and GPS manufacturers say they are unlikely to support Eircode. "Eircode will help the public, businesses and public bodies to locate every individual address (letterbox) in the State" boasts the Eircode website. So for property tax, water charges and TV licence Eircodes are ideal. Road traffic accident, hillwalking heart attack, missing persons, report missing ringbuoy, report bad pothole, report storm damage to utility companies...FORGET ABOUT IT EIRCODES NO USE. What's Right with Loc8 codes? Loc8 Codes are Ireland's first All-Ireland Location Codes; a smarter form of postcode for use with modern technology. You can easily find a Loc8 Code for ANY location on the island of Ireland north or south. 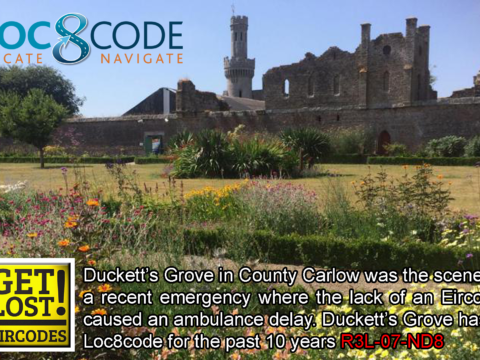 Ideal for emergency services and with extensive Sat Nav support, Loc8 codes are the low cost, low maintenance postcode alternative for the 21st century. 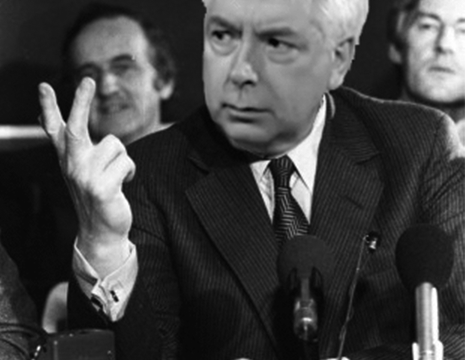 Naughten uses Public Funds for Personal Political Gain! On the 16th of June 2016 Minister Denis Naughten made a bold claim in the Dáil that Eircode was saving lives. Subsequently on the 21st of June 2016 The Journal ran a FactCheck article finding that "Denis Naughten could not provide evidence to support his claim"
On the 29th of June just 2 weeks after Minister Naughten misled the Dáil public funds are used by the same minister to try reverse his FactCheck embarrassment. Anyone out there still wondering why Eircode was only for dwellings ??? Will €50 million Eircode help with Hurricane Ophelia aftermath? 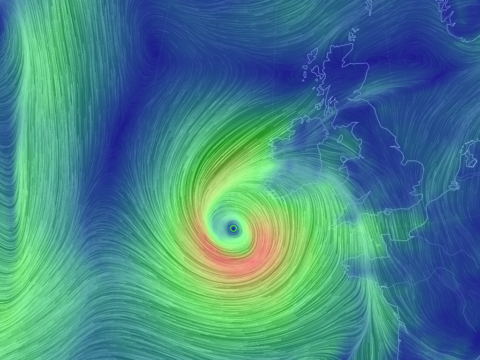 What’s wrong with Eircode when it comes to storm aftermath? Zero use for reporting or navigating to downed trees. Zero use for reporting or navigating to downed power lines. Zero use for reporting or navigating to washed away bridges. 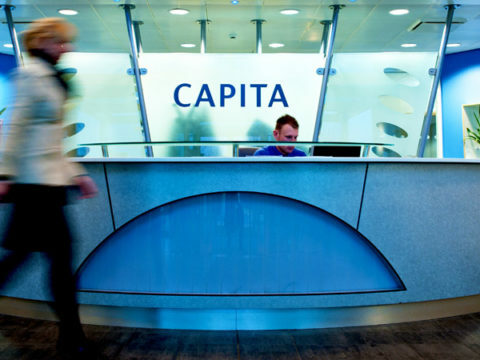 Zero use for reporting damaged local authority infrastructure. Zero use for reporting damaged transport company infrastructure.